Open the email application on your smart phone and search for the ticket delivery email from Big Tickets (or if you purchased tickets before August 20th 2018 search Xorbia Tickets). Can't find the email? 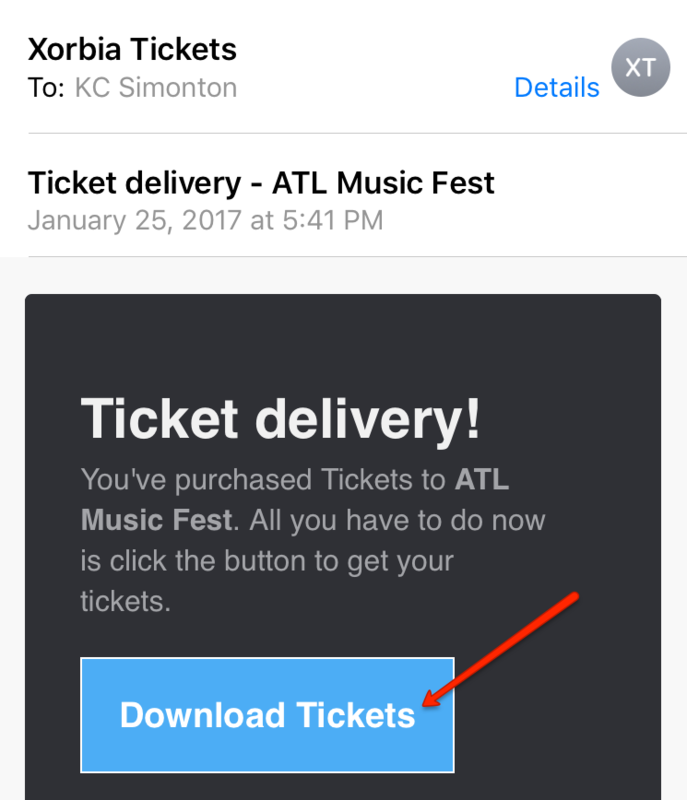 Type "ticket delivery" in the search bar and look for an email from Big Tickets. If that doesn't work check your SPAM folder as sometimes ticket delivery emails get flagged as junk mail. Open the ticket delivery email and click the button to Download Tickets.